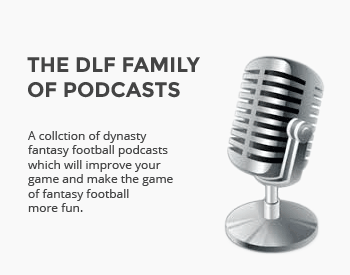 Are you new to the dynasty or keeper format of fantasy football? Just want to find out more what this is all about? If so then this is your best starting place! You’ll find links to articles and content that will take you from the starting line, through the basics of how dynasty works, how & where to set up a dynasty league, how to handle commish duties, drafting, trading, evaluating long term player value and much more. If you have any questions along the way, do not hesitate to hit us with any questions. Thanks for stopping by, and good luck on your journey! Dynasty 101: So, You Want to Build a Dynasty?